Focusing on your personal health and fitness is strongly encouraged because this promotes a positive lifestyle that could reap fulfilling rewards in the long term. Admittedly, committing yourself to a regular workout regimen is challenging, but there’s no denying the fact that sticking to this type of plan will allow you to look and feel so much better. 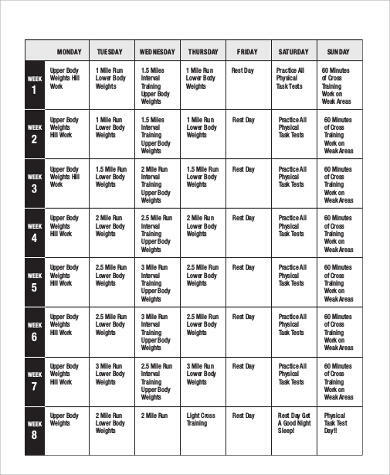 But before you don your workout clothes and filling your gym bag with all the basic necessities, you must first create a workout plan. 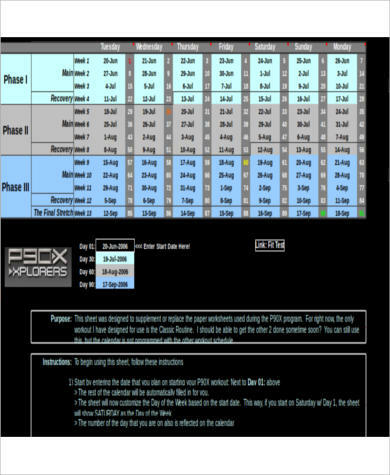 You can start by taking a closer look at the Sample Plans featured below as your handy guides. The key thing you might have noticed while browsing through the aforementioned examples is the fact that most of them are arranged in tables. 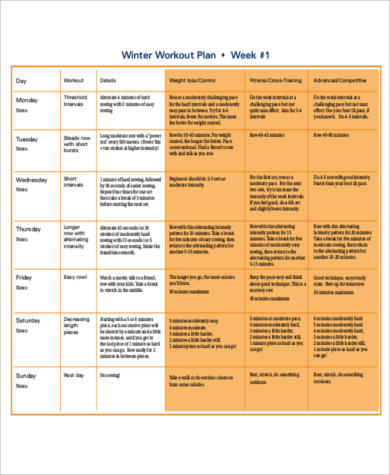 This is because it helps you plot all of your intended workout activities on a daily, weekly, or even monthly basis. 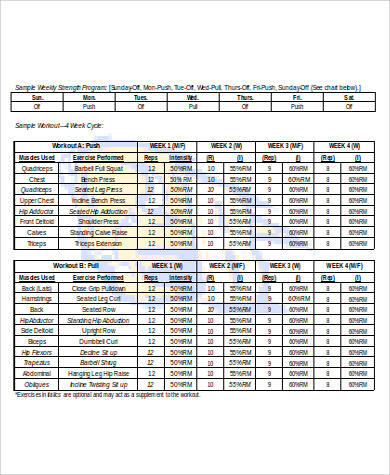 Table arrangements also ensure that you are able to properly organize and schedule your workouts without creating conflicts toward your daily obligations such as work or school commitments. Additionally, it is recommended that you closely consult with your trusted physician or a personal trainer when deciding to create a custom workout plan. Health care and fitness professionals have a keen understanding of how the human body works, and so it is advised to seek their expertise when you fully intend to exercise on a regular basis. Bear in mind that no two people are alike, and as such, your endurance levels might not cope with the more intense exercises that other people can perform. 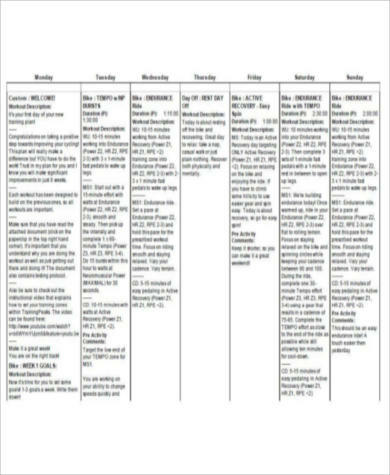 Furthermore, there’s also daily meals to consider on top of everything else because proper exercise and a well-balanced diet always go hand-in-hand. 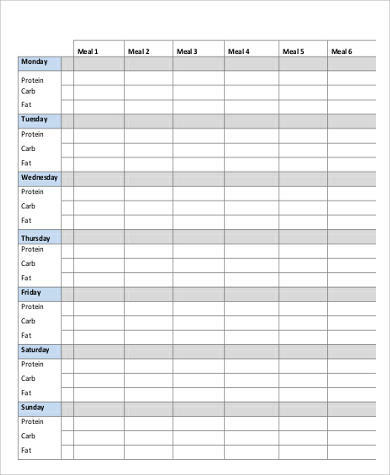 Thus, it’s important for you to take note of these Sample Weekly Meal Plans to augment your proposed workout schedule. 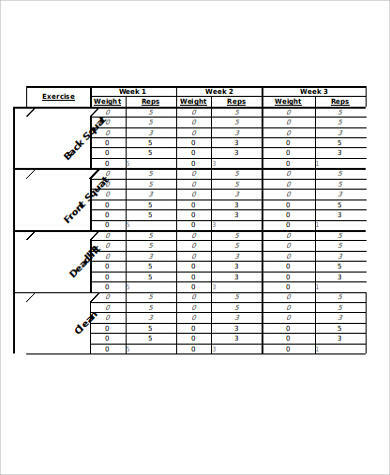 The process of creating a fitness plan should be carefully considered because the purpose of the whole thing is for you to follow it through in order to get the desired physical results. Although it may be ideal to emulate the work ethic of a professional athlete, you shouldn’t push yourself too hard if you are aware that your body has certain limitations. Many doctors and fitness trainers encourage people to be realistic with their workout plans since this will lessen the risk of harming themselves through extreme exercises or diets that their bodies cannot manage. It’s always best to start out with modest goals so that your body will gradually acquire higher levels of endurance. For example, you could do one-hour workout sessions seven days a week before extending your regimen to two hours once you feel that your body is ready to handle more strenuous forms of exercises. The bottom line here is that you should always find a steady balance between sticking to your fitness routine while also staying on track with your diet plans. 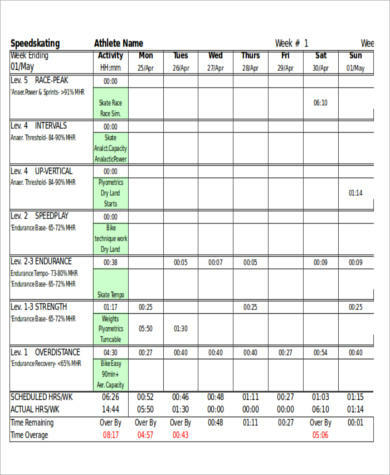 Remember to use these Weekly Work Schedule Samples wisely so you may build a sensible workout timetable that will suit your needs.